This term, our focus for inquiry is DARE. It is a program that allows children to learn the dangers, and consequences of drug and alcohol use. Yesterday, Constable Cyrus came into our class to give us extra information about the use of them. We want to give a big thanks to Constable Cyrus for going out of his way to help us. This week, our challenge to alert others about these dangers was to create a DLO that showed what could potentially happen as a result of using drugs or alcohol. 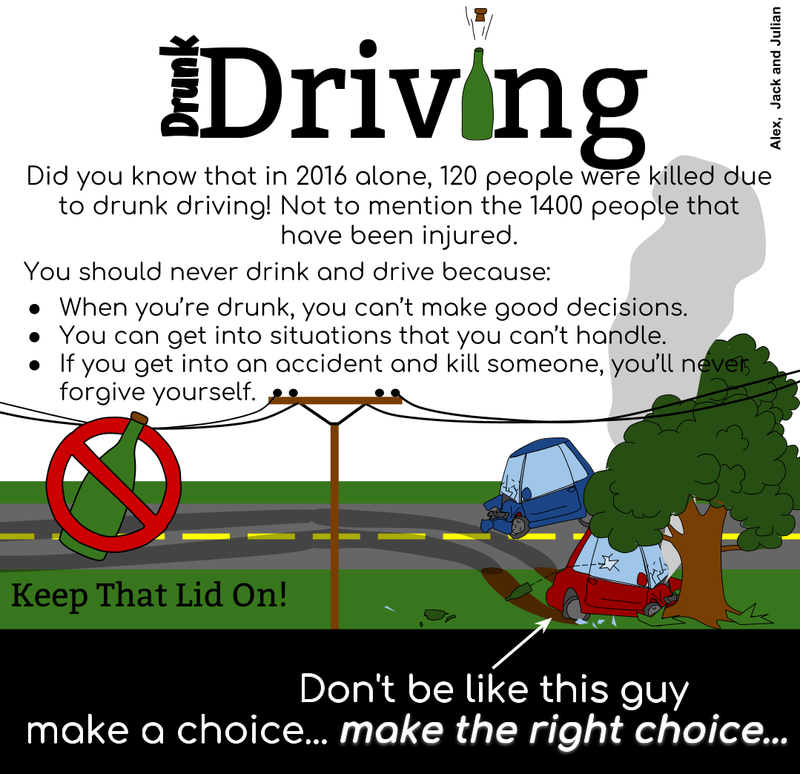 For this task, I worked with Alex and Julian, and we created a poster warning people about the dangers of drunk driving. On our DLO's we needed a strong message that would persuade people to think twice about driving drunk or using drugs. Our message was "Don't be like this guy, make a choice... Make the right choice..." We thought this was a strong message, and would work well.